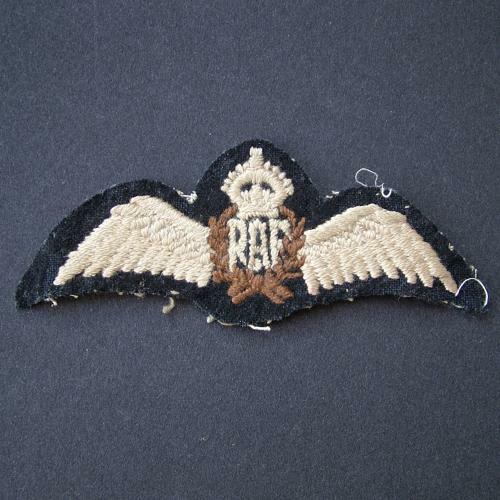 Flat pilot wing in oatmeal coloured thread on black felt. Minor loss of felt - see photographs for details. Good used condition. Stock code U18271.